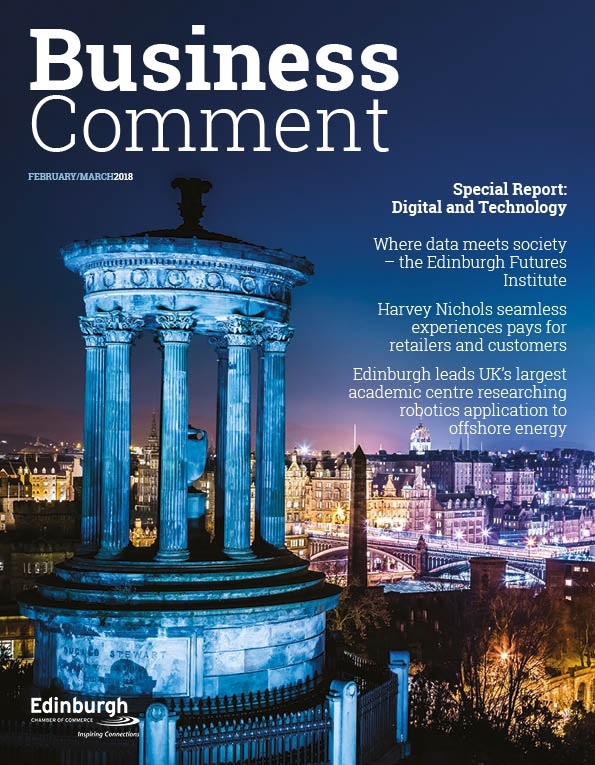 A new Grade A Edinburgh office development is the first building in Scotland to be awarded a cycling friendly accreditation. The 2 Semple Street project in the city’s Exchange District, boasts a host of bike friendly features and has provision for almost 50 cycle spaces. A designated ramp entrance, separate from vehicle and pedestrian access, will improve safety for employees entering the building on wheels. 2 Semple Street joint agent Angela Lowe, Chris Stewart of Cycle Republic, site agent Gerry Mackie, Hunter Guest of Cycle Republic and Gavin Scott of joint agent Cuthbert White. The 38,600 sq ft building will also have maintenance stations for cyclists needing to carry out repairs, male and female shower rooms, and a second wet-locker room with heated lockers to allow cyclists and runners to store wet kit and equipment. 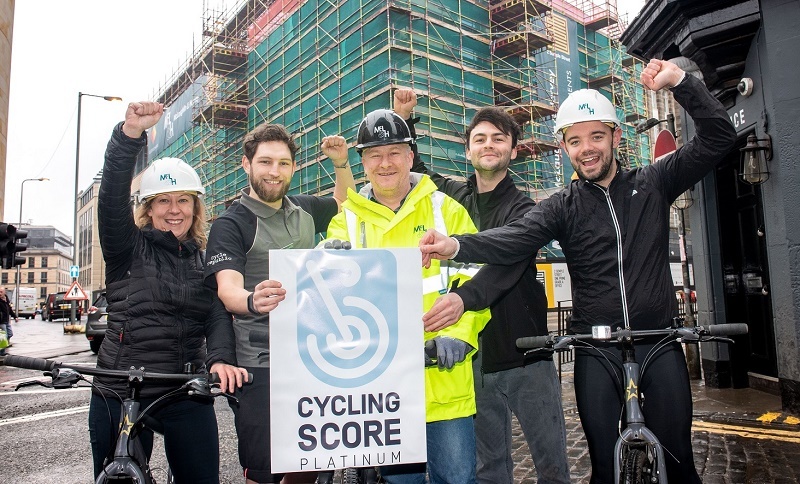 The 2 Semple Street development has achieved the highest platinum accreditation from CyclingScore which rates buildings according to an official set of standards that determine a building’s cycle friendliness. These standards were developed in conjunction with industry professionals, travel planners, tenants and executives in cycle orientated businesses and certification ranges from the highest platinum award down through gold, silver and certified status. 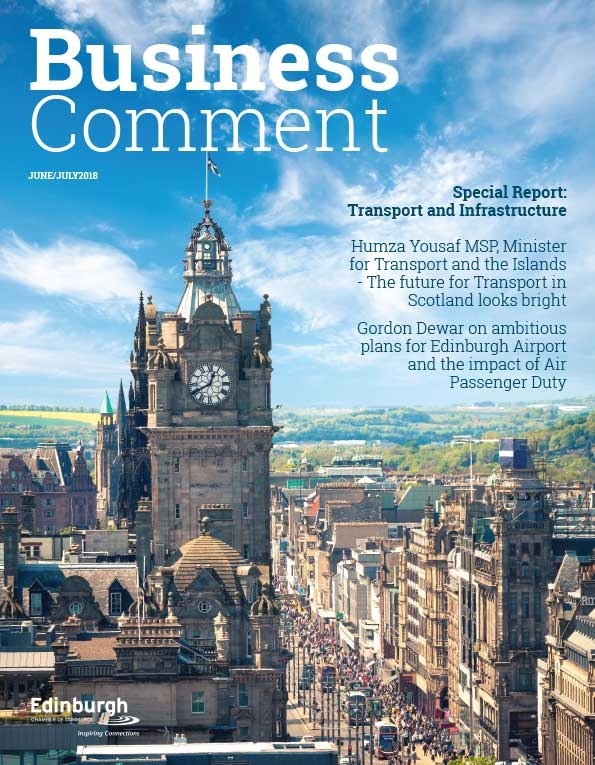 Paul Stevenson, GSS Developments director, said: “Edinburgh continues to make big strides in encouraging more people to cycle and we are playing our part by incorporating a number of cycle-friendly features in the design of 2 Semple Street. 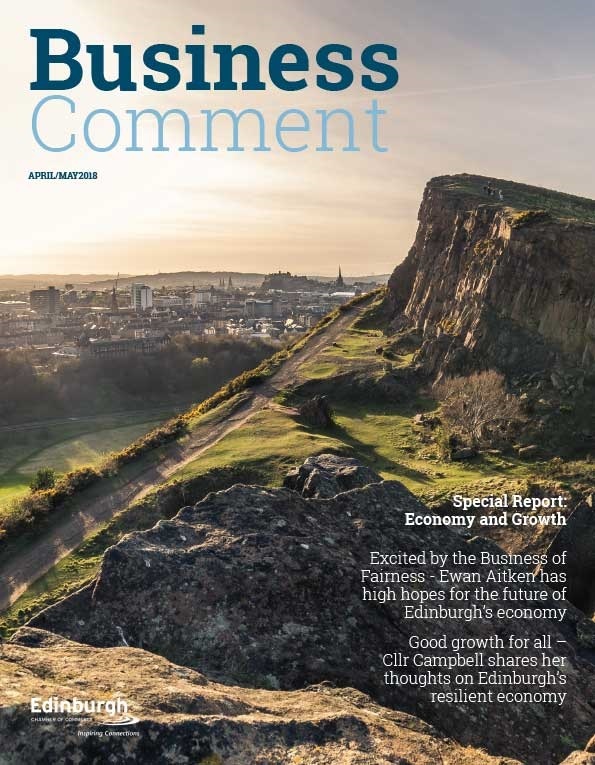 The 2 Semple Street building is the only Grade A development in Edinburgh which will complete in 2018 and it is expected to be ready for occupancy in July.